A unified website of federal government’s departments and agencies with useful information on jobs, immigration, travel, business, benefits, health, taxes, and government services. WorkBC helps all current and future residents to navigate BC’s labour market. WelcomeBC helps ensure that new British Columbians can settle in, gain employment, become active members of their communities, and contribute fully to the social and economic prosperity of BC. An A–Z of services, organizations, and forms, provides useful information on jobs, immigration, travel, business, benefits, health, taxes, and government services. Manitoba is one of the most affordable provinces in which to live with among the lowest costs for: Housing, Auto insurance, Electricity, Child Care. Ontario.ca is the official website of the Ontario government. Get information on jobs and employment, the business and economy, and making a home and building your community here. Visit the Quebec portal to learn more about moving to the province, the labour market, and insights into jobs and employment. The official website of New Brunswick, this is a one-stop portal for information on careers, business opportunities, and immigrating to the province. Immigrating to Nova Scotia? This website is the official site of the province, with helpful information on career and business opportunities, as well as services available to you as an immigrant. Are you moving to Nova Scotia? Their official website provides important information on employment and business opportunities, as well as services available to you as an immigrant. Visit this website to learn more about moving to Newfoundland and Labrador, gain insights into the labour market, and information about employment opportunities in the province. HelloBC offers a glimpse of BC’s rich history and cultural diversity. DIVERSEcity assists immigrants and refugees to become self-sufficient and active participants of the local community. MOSAIC is a multilingual non-profit organization dedicated to addressing the issues that affect immigrants and refugees in the course of their settlement and integration into Canadian society. NewtoBC connects new Canadians with programs and services available to immigrants. SOICS is a registered non-profit organisation that offers a range of services and programs to all immigrants and refugees in order to assist in their settlement and integration in the South-Okanagan Similkameen region. jobGurus is the most comprehensive job search site for Canada. We include jobs from over 10,000 distinct sources such as employer sites, government agencies, recruiters and numerous job boards. ISSofBC is the exclusive service provider of Career Paths for Skilled Immigrants Program for job seekers in the construction, engineering, and technology occupations across BC; as well as those with regulated and unregulated professions in the City of Vancouver, the Kootenay, Thompson/Okanagan and Cariboo North regions. Service Canada is the place where Canadians can access the programs, services, and benefits they need from the Government of Canada and its many partners. JobBank is Canadian government's leading source for jobs and labour market information. BCJobs is an online job site listing vacancies in the province. 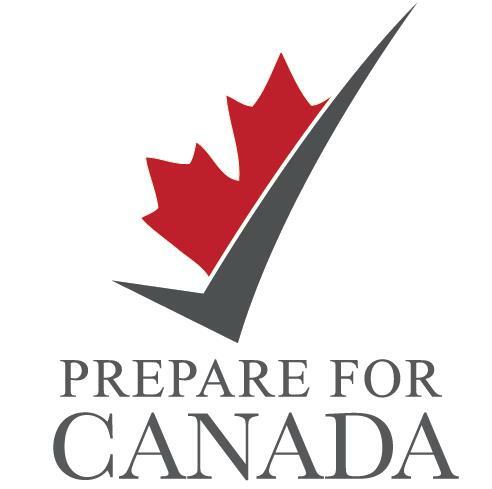 The Canadian Association for Prior Learning Assessment offers tools and resources for those preparing to work in Canada. Neuvoo is a free job search engine that indexes jobs directly for free from companies' career websites, placement agencies, and job boards. The site centralizes all jobs available on the web to help people find new career opportunities. Indeed Job Search gives you an opportunity to browse vacancies and learn about current industry trends across Canada. Simply Hired job site provides an overview of current vacancies for various trades and professions across Canada. Workopolis is Canada's largest and most popular online job site. WowJobs allows you to search through thousands of jobs from career and employment sites in Canada. The Canadian Information Centre for International Credentials offers resources on the recognition of academic and occupational credentials for working and studying in Canada. Red Seal Program sets common standards to assess the skills of tradespersons across Canada. The Skilled Immigrant InfoCentre helps newcomers to Canada find the information they need to get a job or explore careers. Since 2007, Pharmajob.ca has specialized in publishing biotechnology and pharmaceutical jobs. Pharmajob.ca posts hundreds of job offers across the country, such as clinical research, operations (manufacturing and packaging), scientific and regulatory affairs, sales and business development, chemistry, pharmacology, pharmacovigilance, supply chain and purchasing, clinical data and biostatistics. BiotechologyFocus.ca offers the latest life sciences news on deals, hot-button issues, trends in technologies, research, regulatory and commercialization, as well as address the stated interests of our diverse readership of life sciences professionals. 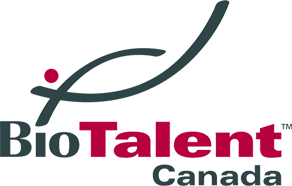 BioTalent Canada is the HR partner of Canada’s bio-economy. ITWorldcanada.com is the leading Canadian online resource for IT professionals working in medium to large enterprises. The Information and Communications Technology Council (ICTC) is a not-for-profit national centre of expertise for the digital economy. BC Safety Authority is the certifying organization for power engineers. The Industry Training Authority of BC provides certification for carpenters and automotive service technicians. Automotive Industries Association of Canada offers resources on education, training and jobs in the industry. Automotive Retailers Association represents the automotive industry in B.C. British Columbia Institute of Power Engineers is a professional organization made up of power engineers and people working in related fields. Careers in Construction explores current trends, safety standards, and career paths in Canadian construction industry. DiscoverskillsBC is a leading online resource for exploring careers in trades and technologies. TradesInfo is a free resource that helps you work or become certified in the trades in Canada. Tradelinks provides resources for Canadian specialists in trades on finding a job, becoming an apprentice and starting a business. Trades Training BC is a hub for BC’s trades training programs and services. WorkSafeBC promotes workplace health and safety for BC’s workers and employers. The Canadian Centre for Occupational Health and Safety provides useful resources on healthy workplaces for employers and employees. Health Canada offers information on common workplace hazards as well as workplace health and safety. Canadian Workplace Culture provides a few tips about communication and behaviour standards in a Canadian workplace. The Canadian Expectations of Work provides a few tips to help you fit in to the Canadian work environment. CLB-OSA is an online tool for people who are interested in assessing their English as a Second Language (ESL) skills. The Active Engagement and Integration Project (AEIP) provides free pre-departure services for individuals moving to Canada. The Canadian Orientation Abroad (COA) is a pre-arrival orientation initiative for refugees, federal skilled workers, provincial nominees, family class immigrants, caregivers and spouses and dependents. The Canadian Immigrant Integration Program (CIIP) prepares newcomers to Canada for economic integration before their arrival in Canada. India2Canada provides pre-arrival guidance to ease the transition to settlement and integration for immigration applicants, who have been approved for permanent resident status. In-TAC Pre-Arrival Services help to prepare the clients about to immigrate to Canada so that they have a faster, more efficient economic and social integration and a seamless connection with post-arrival services in Canada. S.U.C.C.E.S.S. is one of BC’s largest social-service agencies assisting new immigrants at all stages of their Canadian experience. The YMCA-YWCA of the National Capital Region’s “Build ON” is an online service for individuals coming to Ontario who want to work in the Skilled Trades. Their goal is to make sure that you are prepared and informed about how to work in Ontario’s Skilled Trades. The B.C. Newcomers’ Guide will give you the information you and your family need to settle in B.C. quickly and easily. Employability Skills 2000+ are the employability skills, attitudes, and behaviours you need to participate and progress in today’s dynamic world of work. Hire Guide helps BC’s construction employers connect with internationally trained specialists in Canada. The Occupational Health and Safety Factsheet provides an overview of responsibilities of employers and employees to ensure health and safety in the workplace. A guide for newcomers to Canada working in construction, manufacturing, service and other related sectors. Helpful tips for adapting to working in Canada. Canadian workplace values compared with values of some other countries.